We are delighted to say that our loan offer was over-subscribed and has enabled us to proceed with the purchase of Phase 1 land. The access agreement with the Dorset NHS Trust was finally approved by the Department of Health just days before our option to purchase the land ran out. This caused much anxiety for members because we could not have proceeded with the purchase without this agreement in place and was possibly the most stressful part of the Bridport Cohousing journey to date!! 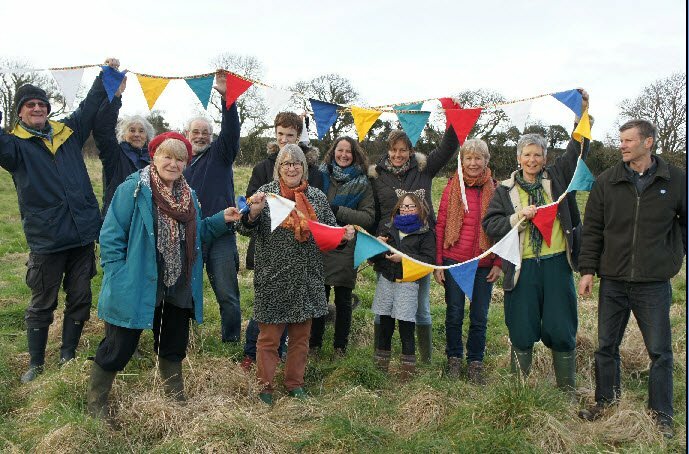 All worked out well in the end, and on 20th March 2018 (also the spring equinox) members gathered to mark the occasion with a photo-shoot and walking the boundary of their newly purchased land.